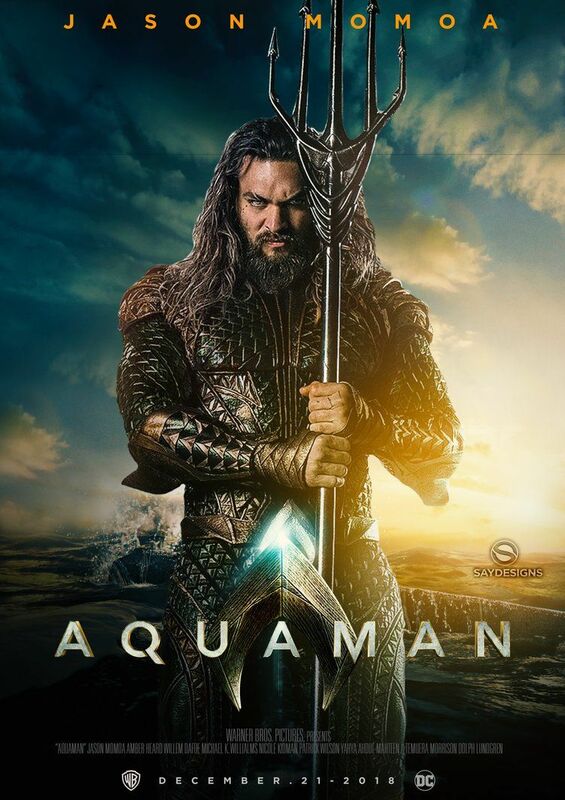 Release Date: December 21, 2018 Cast: Jason Momoa, Amber Heard, Patrick Wilson, Temuera Morrison, Willem Dafoe, Yahya Abdul-Mateen II, Dolph Lundgren, Nicole Kidman, Ludi Lin, Michael Beach Director: James Wan Writer: Will Beall. The next chapter in the ongoing story of the DCEU, James Wan's Aquaman promises to be a unique, visually distinctive film that sees Jason Momoa's Aquaman battle for the throne of Atlantis. It features an all-star cast, including Amber Heard as Mera, Nicole Kidman as Aquaman's mother Atlanna, Patrick Wilson as the main villain Ocean Master, and Yahya Abdul-Mateen II as the secondary villain, Black Manta.